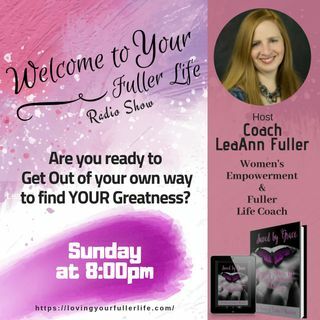 helping everyone to get their fuller life back, So are you ready to into tune in every Sunday night at 8pm EST and learn how to get a chance to win a FREE copy of our book Saved by Grace: Opening Doors to Wounded Women Walking and a Free giveaway every week!! Hey @Liz Garcia... Thanks so much and thanks for joining us. I am so excited to be bringing a place for us all to get together and get real! Tunning in and loving the shows theme. Lets get real and share our hearts with each other. :smile: be blessed.